Create jazz solos on instruments you didn�t know you could play! Players include Jeff Kashiwa (The Rippingtons), Dale Ockerman (Zigaboo Modeliste), Baird Miller, Bill Vallaire, Gary Regina, Nial Thompkin (Ola Onabule�) Steve Waterman, Roger Beausolais, and Hugh Turner. 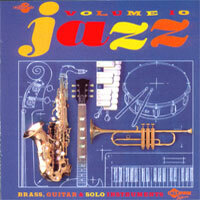 �A complete jazz ensemble at your fingertips.� Lakewoodsoftware.com.